You may have come across sayings such as, “Nothing is permanent but Change.” Also a few others would say, “If Change was permanent, it would have stayed”. We evolve and so does our needs and priorities and in the Indian market it makes so much more sense because as a nation we yearn for access, empowerment and rights. Recently, growing attention has been devoted to the concept of “Open Innovation”, both in academia as well as in practice. Open innovation is “the use of purposive inflows and outflows of knowledge to accelerate internal innovation, and expand the markets for external use of innovation, respectively.” The concept has emerged from the belief that growth just like innovation has to be inclusive. 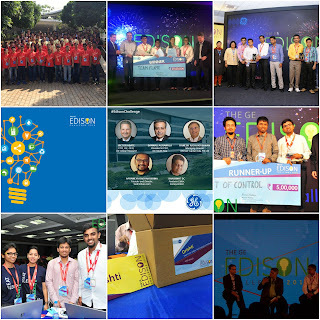 Recently, I was at the GE Edison Challenge venue in Bangalore, India where GE invited college/university students to showcase promising innovations that can aid in achieving these goals by a digital-physical solution across industries. The audience and mentor group came from the esteemed pool of GE scientists, leaders and engineers. From the GE’s manifesto we learnt that GE believes that it’s impossible for any organization to have all the best ideas, and hence they strive to collaborate with experts and entrepreneurs everywhere who share the same passion to solve some of the world’s most pressing issues. As simple it may seem, I was astounded to see the enthusiasm and array of technology categories these students applied in. DRISHTI- a wearable for blind population to assist in Navigation. Navigation in indoor environments is highly challenging for the severely visually impaired, particularly in spaces visited for the first time. Several solutions have been proposed to deal with this challenge. Although some of them have shown to be useful in real scenarios, they involve an important deployment effort or use artifacts that are not natural for blind users. Drishti (Veermata Jijabai Technological Institute) presented an indoor outdoor navigation system that was designed taking into consideration usability as the quality requirement to be maximized. This solution enables one to identify the position of a person and calculates the velocity and direction of his movements. Using this information, the system determines the user’s trajectory, locates possible obstacles in that route, and offers navigation information to the user. 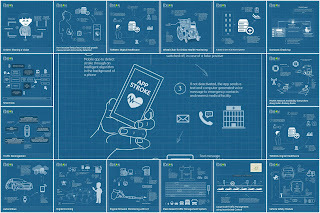 Health Category dominated with some really quirky innovations that were worth a consideration. For patients suffering from respiratory diseases, an intelligent remote health monitoring system was proposed by Mesh Bees, Pondicherry Engineering College. The AndroLung app records breath sounds and sends the same to a cloud for diagnosis. Any audible noises associated with breathing as occasionally, wheezing or the gurgling caused by secretions in large airways are audible to the "naked" ear. Lung sounds, also called respiratory sounds or breath sounds, can be auscultated across the anterior and posterior chest walls with a stethoscope. Adventitious lung sounds are referenced as crackles (rales), wheezes (rhonchi), stridor and pleural rubs as well as voiced sounds that include egophony, bronchophony and whispered pectoriloquy. Descriptions and audio recordings for all of these sounds are available with several algorithms and as reference in medical guides. A prescription approval, modification and further course of treatment is advised based on the same. For people suffering from disabilities and especially the ones that are dependent on wheel chair for movement and tend to spend a lot of time on it- the IIT Kharagpur team came out with an innovative solution. 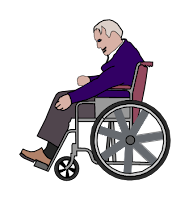 The wheel chair is equipped with Bio potential signal and Magneto Plethysmography (MPG) for Heart rate monitoring and other sensors as well. 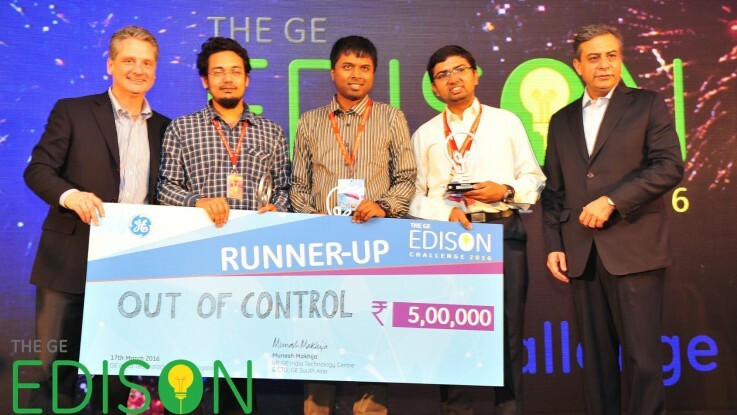 The 5 finalist teams of the GE ‪#‎EdisonChallenge 2016 were Out of control (Indian Institute of Science), TechieCardia (IIT Bombay), Agaaz (Malaviya National Institute of Technology Jaipur, Rajasthan), 2Pi Radians (R.V. College of Engineering) and Flame (Zakir Husain College of Engineering and Technology, AMU, Aligarh) and all of them battled it out for the win. Team FLAME from Zakir Husain College of Engineering and Technology (#‎ZHCET), AMU, Aligarh presented an idea related to home health/ domestic checkup. The service delivery point is at home where blood testing is done without a prick and AI algorithms are applied. These algorithms are then deployed to the hardware (device). 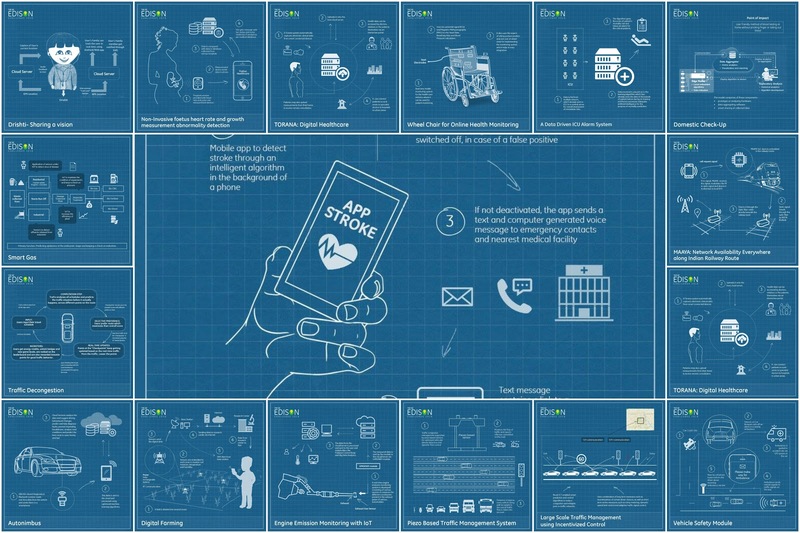 The solution also demonstrated smart data sharing and communication back and forth in the healthcare ecosystem. 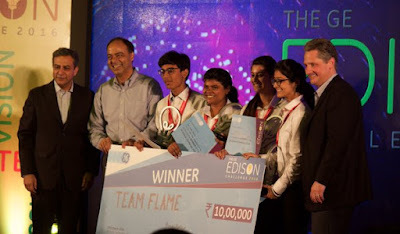 TEAM FLAME is the winner of #EdisonChallenge 2016. The idea also indicated a possible use of Predix platform from GE which is built on cloud foundry and is optimized for secure connectivity and analytics at scale - in the cloud and on the edge. And then there were others to detect stroke (Team Chaperone, VIT University), fetal monitoring at the convenience of your home (Priceless brains, Madras Institute of Technology), data driven ICU tracking and alarm system (Order Zero, IIT Guwahati), safe and pure water system (NIT, Karnataka), digital health networks (Vikings, Manipal Institute of Technology) etc. Outside the health category the challenge also brought other sectors’ related innovations. Team TraFix, IIT Kharagpur, West Bengal presented a unique solution to control traffic congestion on roads. VSM, CMR Institute of Technology presented a solution on vehicle safety based on smart sensors placed on the bumper of the car that help initiate a trigger in cases of collision, accidents etc. and has been integrated with SOS/Ambulance on alert services. Ambulance is guided to the location via GPS system in the car. Team Out‐of‐Control from Indian Institute of Science, Bangalore showcased a solution based on prediction analytics based algorithms that help reduce traffic congestion and mitigate jams. It also has an interesting incentive model and is coupled with short term active measures like ramp metering, dynamic speed limit control and adaptive traffic signal control. Team Out-of-control walked away with the runner up prize. Special mention and Congratulations to the two winners of the 'Social Squad'- Team Phoenix, NIT Raipur and Team ArdIoT, NIT Durgapur. My Heartiest congratulations to the Team Flame and all others who participated for their valiant efforts and ingenuity throughout the course of GE’s #EdisonChallenge 2016!